A man whose conviction for abusing girls at his daughter's slumber party was overturned will remain behind bars after he was arrested and charged in a new case. During a hearing Thursday morning, bond was revoked for Michael Gardner, who appeared in court wearing a dark blue jumpsuit. Gardner, a former Democratic official in Falls Church, Virginia, had been released from prison this summer after his 2012 conviction was overturned. In court Thursday, a judge ruled that Gardner violated the court's conditions for his release by traveling out of state. 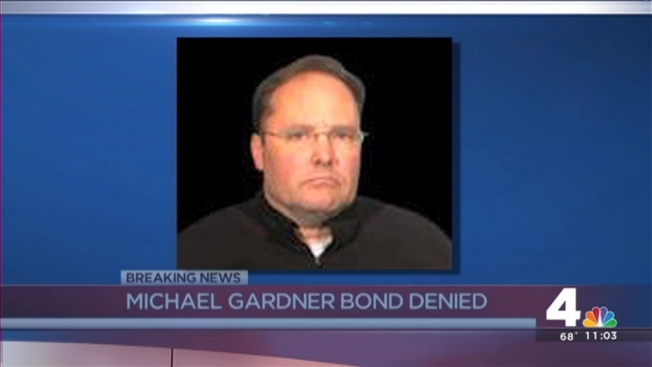 Bond was also denied for Gardner in the new case, which involves allegations stemming from 2009. On Wednesday, authorities announced Gardner had been arrested and charged with felony aggravated sexual battery of a child. 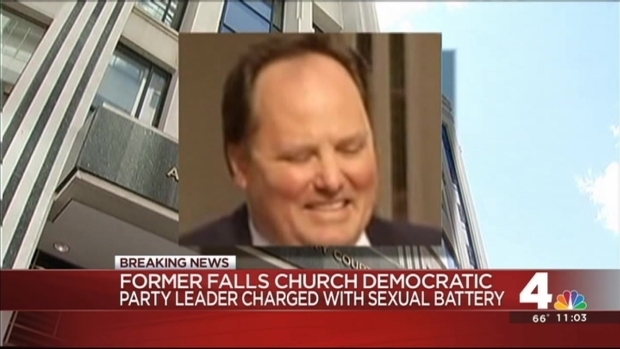 Michael Gardner, a former Democratic official in Falls Church, Virginia, is facing one felony count of aggravated sexual battery of a child, a family member younger than 13 at the time, authorities said. The girl, a family member, said she was assaulted twice on Thanksgiving in 2009. She was younger than 13 at the time, authorities said. Falls Church authorities said the allegations came to light following Gardner's release from prison after the Virginia Supreme Court overturned his conviction in a previous case. In that case, Gardner was accused of molesting three girls who had attended a sleepover party for his daughter's 10th birthday in 2011. He was convicted in 2012 of two counts of aggravated sexual battery and one count of object penetration, charges that involved two of the girls. An Arlington County Circuit Court jury could not reach a verdict on a charge related to the third child. Gardner was sentenced to 22 years in prison. However, in a 6-1 ruling in June, the Virginia Supreme Court ruled that his case would be retried because the trial judge had improperly barred two character witnesses from testifying whether Gardner had a reputation as a good caretaker of children. Authorities said Gardner visited the 2009 victim in August after his release from prison. After the visit, the girl reported the past abuse to her therapist, who then called authorities, they said. In court Thursday, prosecutors argued in court that Gardner is a danger to community, saying the instances of alleged abuse all happened at his home when his wife and children were in the house. Gardner is being held at the Arlington County Adult Detention Center. He had been chairman of the Democratic committee in Falls Church and his wife is a former mayor.